Translation of light (also known as transfer of light) is a specific type of configuration that occurs when a fast moving planet separates from an exact aspect with one planet and then applies to an exact aspect with another planet. In this way the fast moving planet is said to “transfer the light” between the planet that it is separating from and the planet that it is applying to. Translation of light was originally developed in the early Medieval tradition in order to provide a means by which planets that are not aspecting each other could still be connected. As a result of this, translation of light is usually invoked when the faster moving planet is connecting two planets that are otherwise either not aspecting each other or are separating from an exact aspect with each other. Translation of light can occur through any of the five Ptolemaic aspects. Here is an example of translation of light through a conjunction. 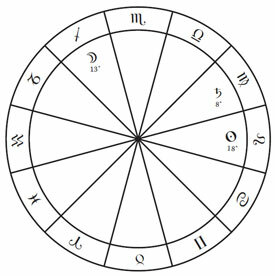 Let’s suppose that Jupiter is located at 15 degrees of Aries, Saturn is at 9 degrees of Aries, and Mercury is at 12 degrees of Aries. Jupiter is separating from a conjunction with Saturn, and so the two planets are moving away from each other, and their connection is decreasing. However, Mercury at 12 degrees of Aries is able to form a connection between the two by separating from Saturn and then immediately applying to Jupiter, thus bringing Saturn and Jupiter together again, or transferring their “light”. Another example, this time of translation of light through one of the other Ptolematic aspects. 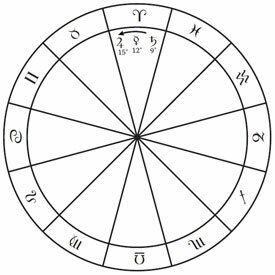 Saturn is at 8 degrees of Virgo, and it is in aversion to the Sun at 18 degrees of Leo, and thus there is no relationship between the two. However, the Moon at 13 degrees of Sagittarius is separating from a square to Saturn and then immediately applying a to a trine with the Sun, and thus the Moon is transferring the light between Saturn and the Sun. 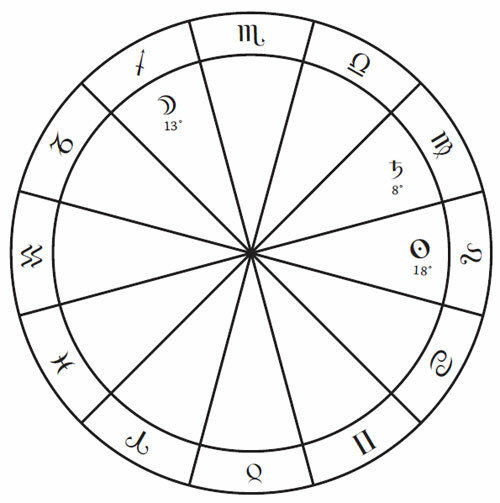 Translation of light is primarily used in horary astrology in order to provide a means through which the relevant significators can perfect their aspect with each other, thus providing an affirmative answer to the question that was asked. Within this context, some authorities differ on whether the presence of a translation of light between the relevant significators is sufficient in order to provide an affirmative answer to the question. Some authors suggest that some form of reception must also exist between the translating planet and the slower moving planet that it is separating from, so that the slower moving planet can fully commit its disposition unto the translating planet. 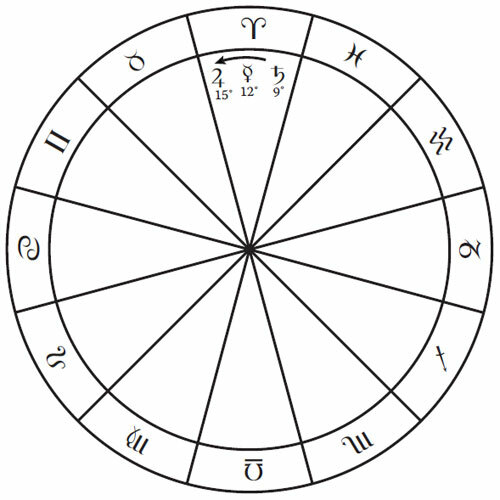 On the other hand, while the presence of reception is generally regarded as beneficial, not all authorities agree that it is a requirement for a translation of light to occur between significators in a horary chart.